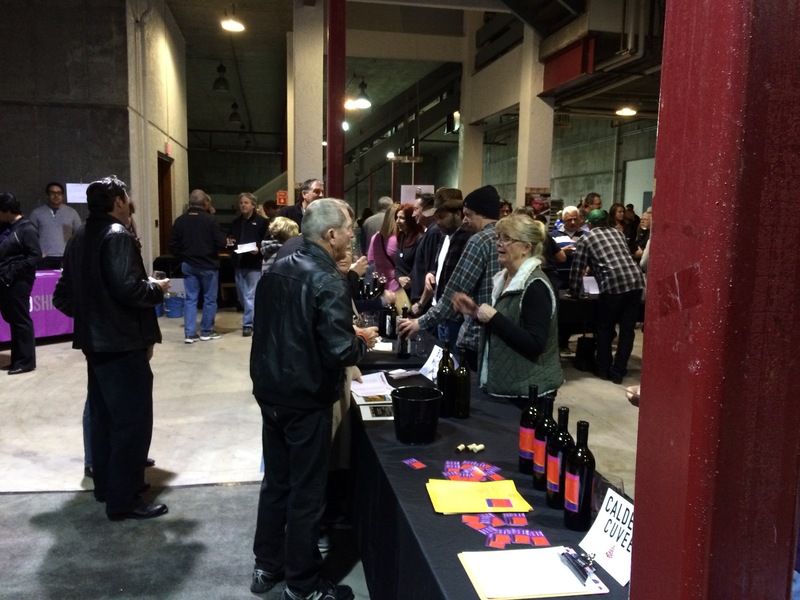 WINEMAKERS’ MIXER AT THE 2015 GARAGISTÉ FEST IN PASO ROBLES. The Garagistè Festival (LINK), for the uninitiated, is a gathering that promotes and celebrates small production winemakers from Paso Robles and elsewhere in California. These are folks who produce under 1500 cases per year. Some are new and plan to grow into the future Mondavis or Kendall-Jacksons of the world; others are doing it as a labor of love and have no plans to expand; still others are winemakers for larger concerns and this is their hobby-like “side venture.” There are also now Garagistè Festivals in Solvang and in Los Angeles each year. This is the fifth annual Paso Robles event, and I have attended all of them. Dorianne and I drove up from LA County where we are staying with friends for last night’s Winemakers’ Mixer and today’s workshops and Grand Tasting (which I will blog about later). The mixer was added a few years ago, and has been held in different places. This year, it was in the barrel room at Broken Earth Winery (LINK). There were about 35 wineries represented (and one local hard cider maker), including about 1/2 dozen who had been at all five festivals. There were some snacks provided and the Pairing Knife Food Truck (LINK) was also on hand with some great food. 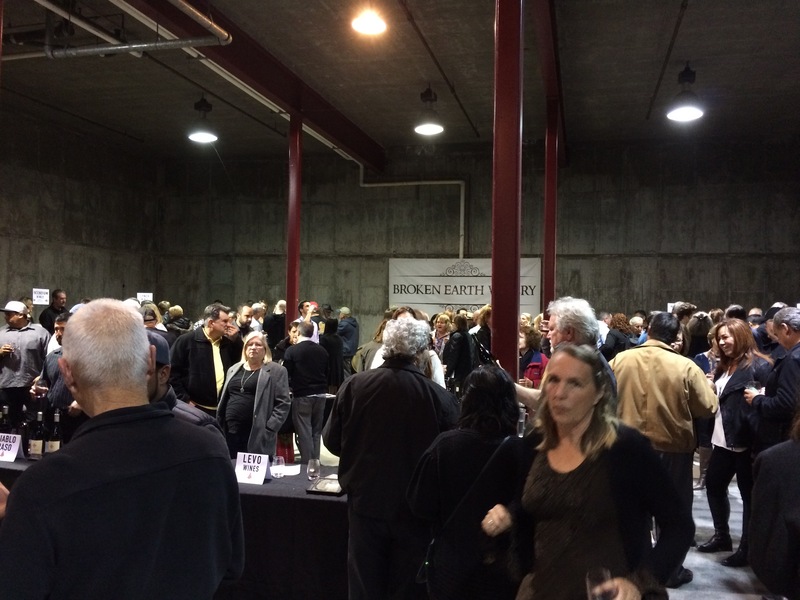 The focus of the evening was new releases and tastings of wines that had not yet been released. You might say that this concept is loosely observed. There were some new releases, and some yet-to-be-released wines (one, just pressed and served from a 5 gallon plastic container), but there were also some 2007 Cabernets and other regular production wines, but really, who cares? The fun of this evening was meeting young (and not-so-young) winemakers who are following their dream and doing what they love. They are eager to talk about their wines and really enjoy it when someone with some knowledge shows up. There were over 70 wines to taste, so spitting was in order. The general quality of the wines at the Garagistè Festival has improved significantly over the past five years. But, there is still a pretty wide range of quality, which is also part of the fun. Ascension Cellars (LINK), Paso Robles. Currently produces 8 wines in the Rhône style. We tasted their GSM called Trinity and a Syrah – both were very well-crafted and balanced. Deno Wines (LINK), Templeton, CA. The last wine we tasted before departing, the wine was a pre-release of the blend of 50% Zinfandel and a 50% GSM blend. This surprising combination produced a very spicy and well-balanced wine. Dennis Sharpe will have some other GSM’s out today for the Grand Tasting. Incendium Wines (LINK), Napa Valley, CA. Winemaker Vince Kalny is a firefighter for Cal Fire. His wines reflect his primary calling, with beautifully designed labels. A portion of the proceeds from sales go to The National Fallen Fire Fighters Foundation. That said, his wines are very well made. There were 3 Chardonnays, 2 Cabernet Sauvignons and a Syrah to taste. 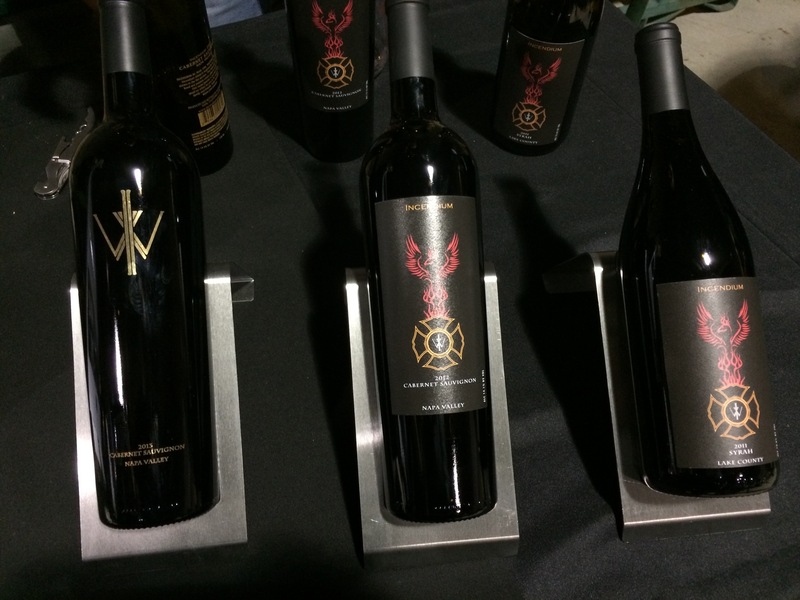 The Cabs (2012 & 2013 – pre-release) stood out as very well-crafted and were smooth and ready to drink. 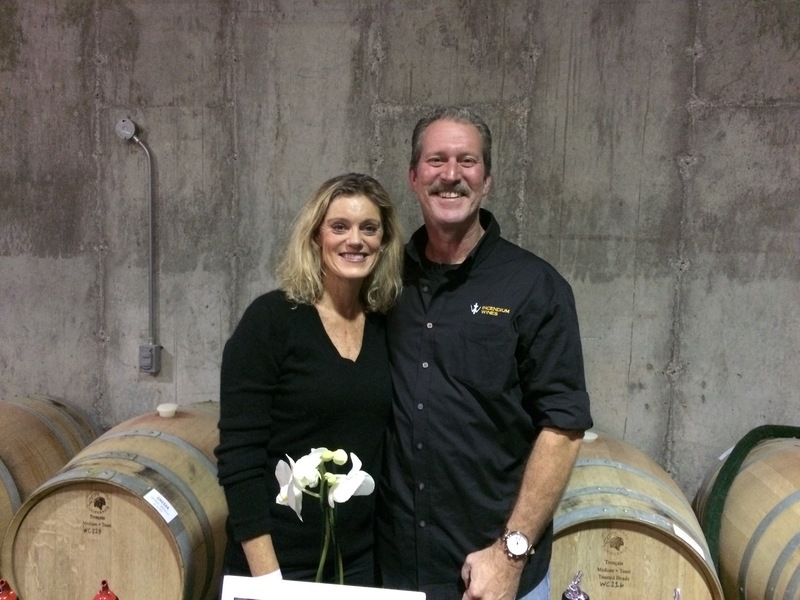 Vince Kalny – Firefighter and Winemaker. Stanger Vineyards (LINK), Paso Robles, CA. Last year, when we entered the mixer, the first person we saw was J.P. French holding a 5 gallon plastic water jug that was filled with Malbec that had just been pressed. He sloshed some of the juice into our glasses and moved on. Later, we returned to his table and discovered some amazing wines. J.P. was back this year, with the 2015 Cabernet Sauvignon in the plastic jug – again, just pressed. He also had a 2007 Cabernet Sauvignon that was spicy, earthy, but with nice red fruit on the nose and palate. If you are into wine, Stanger Vineyards is a good bet. Theopolis Vineyards (LINK), Anderson Valley, CA. 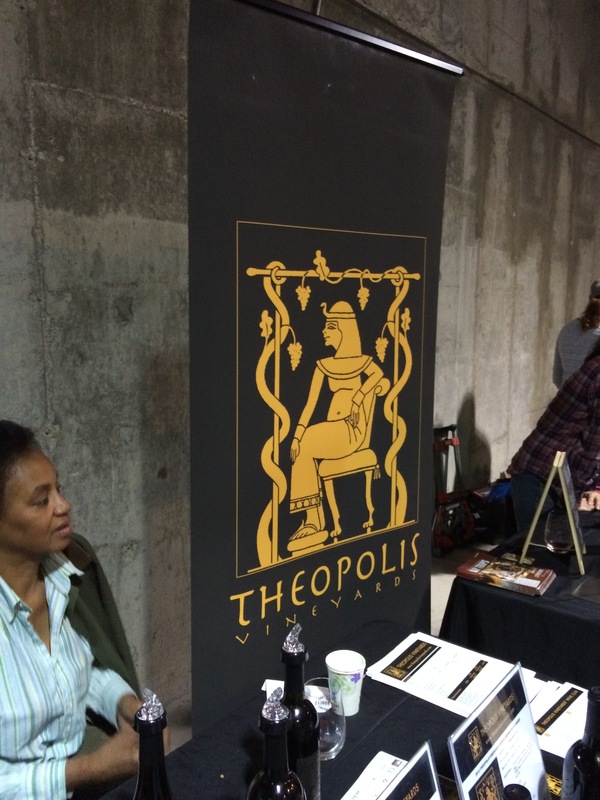 Theopolis, run by Theodora Lee, a Texan and an attorney by trade, had 7 or 8 wines (we were well into the tasting) on display. Theopolis has a focus on Petite Syrah on the red side, and the Symphony Grape – a California crossing of Muscat of Alexandria and Grenache Gris developed in 1948 (but not commercially released until 1982) by the late Harold Olmo, professor of viticulture at the University of California, Davis. As its pedigree suggests, it is a seductively aromatic wine with delightfully captivating aromas that are markedly floral with slightly spicy flavors (from their website). She also produces a very seductive Petite Syrah Rosè. 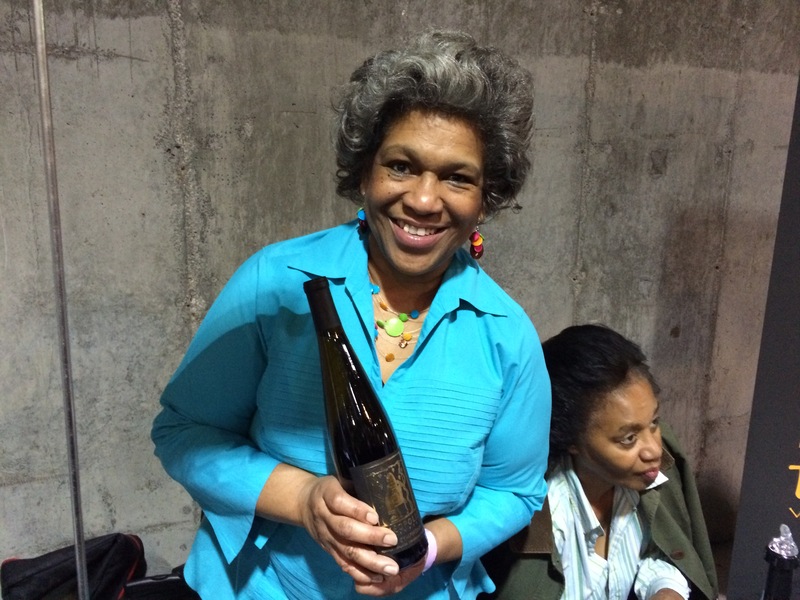 The wines were among the best of the evening and I look forward to visiting her again today at the Grand Tasting. Turiya Wines (LINK), Lompoc, CA. Turiya means “pure consciousness” in Sanskrit. 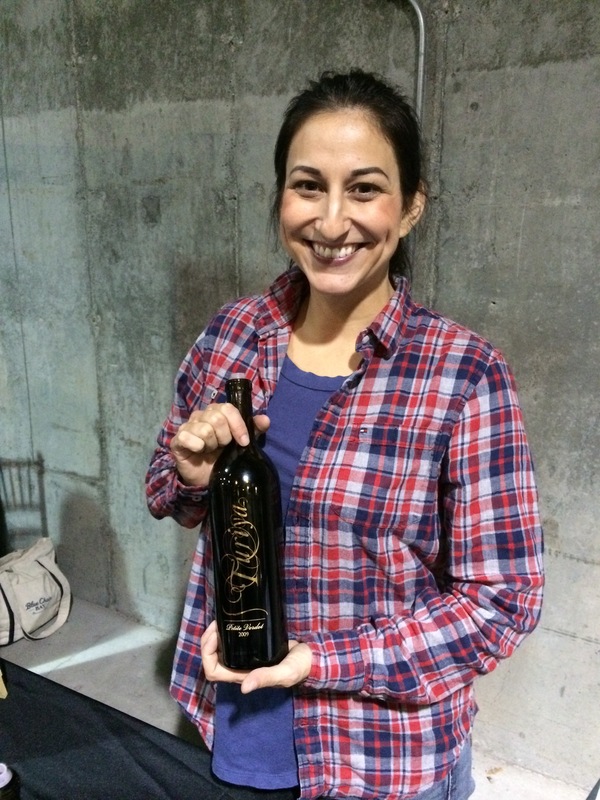 Winemaker Angela Soleno brings a consciousness to winemaking that produces some exceptional wines. We tasted a Sangiovese and a Bordeaux Blends, and both were excellent. A one-woman operation, Angela produces about 200 cases annually, all reds, featuring a number of varietals – Red Blends, Cabernet Sauvignon, Syrah, Malbec, Merlot, Petit Verdot, Cabernet Franc and Sangiovese. Wine prices begin at about $100/bottle and you have to be on the allocation list to receive wine. Visit the website for more information. Angela Soleno of Turiya Wines. Vinemark Cellars (LINK), Paso Robles, CA. 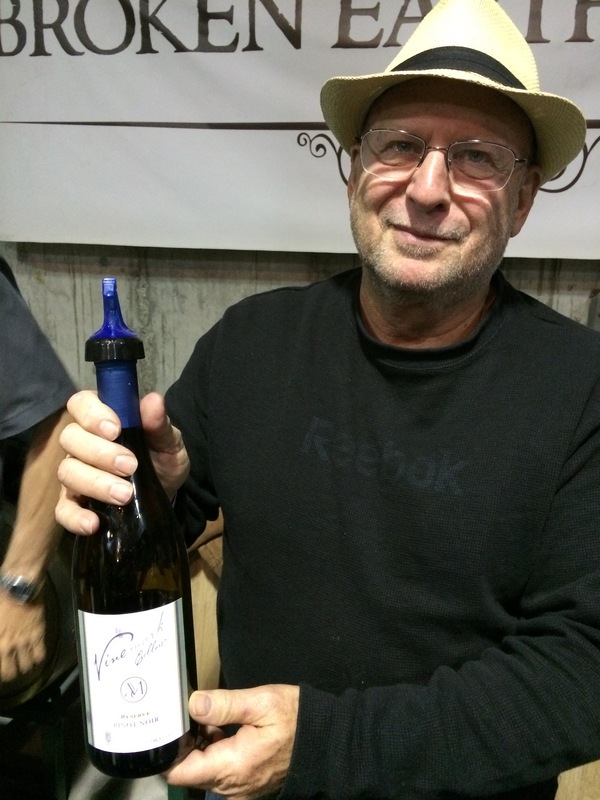 Mark Wasserman, who runs Vinemark with his wife, Julie, was present with two wines, a 2013 Reserve Pinto Noir and a 2012 Mezzanote, a blend of 75% Primitivo and 25% Petite Syrah. Mark is the classic Garagistè, in it for the love of winemaking. He loves to talk about his wines, and they are wonderful. Mark Wasserman of Vinemark Cellars. So that is a taste of the tasting mixer. There were a number of other quality wines present and, again, try as we might, Dorianne and I did not get to taste everything. Today – the Classic Tasting with about 70 producers and a couple of hundred wines. We will do our best.